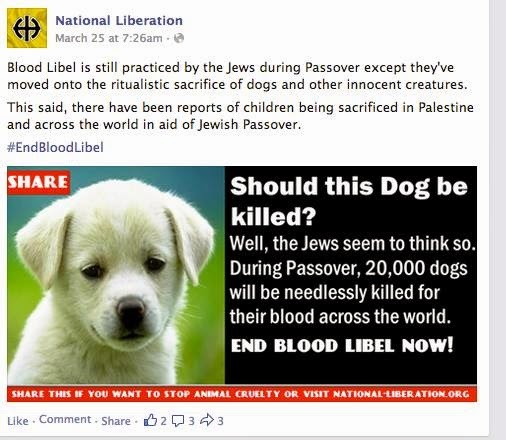 There has been some organization trying to spread a modern-day blood libel, with the approach of Passover. It is not the classic blood libel of olde, the kind that has Jews killing Christian childen to use their blood in the baking of the matza for Pesach. 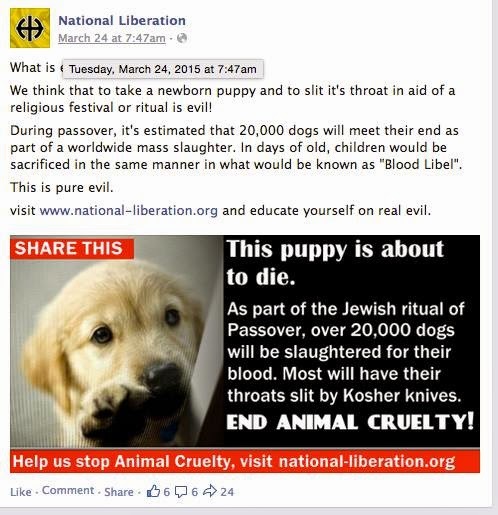 This new blood libel has the jews kiling dogs, and Palestian children, for blood for baking the matza. Dog blood. and Palestinian blood. Very rude of them them to lump Palestinians together with dogs. There are petitions going around for people to sign calling on Netanyahu to not appoint Aryeh Deri as a minister in the new government. Deri has sat in jail convicted of accepting bribes and breach of trust, and there is a sentiment among some of the public that from a moral perspective he should not be a minister. The problem with this is that Deri did the crime, and he aid his time. he served his sentence. He has waited the 7 years he could not return to politics due t the nature of the crime, as determined by the judge. He is now a free man with full rights and the legal ability to be appointed a minister. As head of a political party negotiating for a share of the incoming government, there is no chance he won't be appointed to a ministerial position, and there is really no basis to make such a demand. That being said, I am not a fan of Deri, and less personally, I do not think such people should be allowed to return to high office. The venue for this though is to have the law changed for the future, not to sign petitions against someone specific. Lobby various MKs to have them submit such a law (I know it has been considered and discussed in the past) change, and in the future ex-cons won't be ministers. That is really the only way. The ad does not even say anything about Pesach, but it is promoting something they call "kosher shirts". Unfortunately, the ad does not say these shirts are mehadrin, or what specific hechsher they are supervised by, so my assumption can only be that these are Rabbanut shirts, not Badatz. They are probably not reliably, either, glatt, or cholov yisroel. They definitely are not kosher lpesach, even if you eat/wear kitniyot. And worse is that they don't even explain what a kosher shirt is. This is a message I received from MK Rabbi Dov Lipman, and I think it is worth publicizing.. This past summer, Max Steinberg, a lone soldier from Los Angeles, was killed in Gaza while protecting the people of Israel and the State of Israel. I had the great honor of delivering a eulogy for Max at this funeral on Mount Hertzl - https://www.youtube.com/watch?v=BgQ_lWoUKRI. Max's family has taken on a project to have a Torah scroll written in his memory to be used by Max's beloved Golani unit in the IDF and I am a proud "ambassador" for the project. Please click on the following link from which you can donate towards this important project. Every amount makes a difference. A Jewish man distributes pastries to weary firefighters at the site of an explosion and fire in the East Village neighborhood of New York, Friday, March 27, 2015. Thursday's inferno caused the collapse of three buildings and fire damage to a fourth, the fire department said. It left four people in critical condition and more than a dozen others injured and at least one family searching for a loved one. There is a significant new road rule in effect as of today.... though I do not see how it is reasonably enforceable.. The new rule, which was approved last November, basically obligates drivers to stop at crosswalks if there is a pedestrian that looks like he might want to cross the street. Until now the driver had to give right of way to the crossing pedestrian if the pedestrian made his move to begin crossing the street. As soon as the pedestrian sticks his foot into the street n the crosswalk, he has the right of way and the driver must stop. Now, the driver has to stop even before the pedestrian heads into the street. The driver has to stop if the pedestrian is even thinking about crossing. The new rule states that the driver must slow down as he approaches the crosswalk if a pedestrian is on the sidewalk near the crosswalk, and if it appears to be that the pedestrian intends to cross the street, he must be given the right of way. Anything that improves safety of pedestrians and/or drivers is good. However, I don't see how this enforceable, without clear guidelines of when the right of way must be given and when not. Let's say someone gets a ticket for not giving the right of way to a pedestrian on the sidewalk. He goes to court and fights it - all he has to say is he evaluated the pedestrian and it did not seem to him as though the pedestrian intended to cross the street. Without clear guidelines, it is up to the driver to assess the intention of someone he see for a few seconds standing on a sidewalk, and how can anyone else say whether he made an honest assessment or not? The J Street Challenge is an important and timely documentary about a significant issue facing the American Jewish community. Since it was founded in 2008, J Street's idealistic message has attracted many Jews, young and old, who are frustrated by the Middle East conflict and sincerely want peace between Arabs and Jews. J Street has been a subject of controversy. Critics claim that J Street has divided the Jewish community and weakened American Jewish support for Israel. "The J Street Challenge" lets viewers hear both sides of this important debate over the elusive solution to the Arab-Israeli conflict. The film explores the reasons for J Street's appeal, as well as the diverse and at times contradictory motivations of its leaders and followers. The film is being released at a critical time for the American Jewish community given the intense efforts by the United States to resolve the conflict and influence the community's leadership to support these efforts. The Kerry peace initiative has further divided the Jewish community, with J Street working to weaken the influence of AIPAC while strongly backing the administration. The film includes distinguished scholars and writers from a wide political spectrum, including Harvard professors Alan Dershowitz and Ruth Wisse, Rabbi Daniel Gordis of the Shalem College in Jerusalem, Caroline Glick, Managing Editor of the Jerusalem Post, Professor Richard Landes of Boston University, Lenny Ben David -- former Israeli diplomat and author, and Bret Stephens, Pulitzer prize winning columnist for The Wall Street Journal. and once on the topic of JStreet.. there is this..
A five-minute YouTube video has caused a great deal of controversy this week, after a haredi Jewish group in Rockland County, NY, compared Rockland County officials to Nazis. The video - produced by the Orthodox Jewish Public Affairs Council (OJPAC) - primarily attacks a campaign entitled "Block the Block Vote" - a campaign calling to lessen the influence of haredi Jewish voters in Rockland and blaming them for the county's financial crisis. The page claims that the campaign is not anti-Semitic, but instead fighting the "takeover" of Jewish interests in Rockland county to the detriment of the community at large. "Block The Block" is a political effort, an effort to end the current financial abuse of the Rockland county Community at large by the Orthodox and Hasidic Communities. Fairness is not anti Semitic. This writer is not attempting to offend and persons , but the current superficial "civility" in Rockland Politics has been masking a barbarity in financial abuse....If people do not respect you, and feel you and your money exist only for their benefit, I have little patience for their superficial, and false , good manners. In other words, to fix the issue of the community at large being financially abused, some feelings may end up being hurt. This effort is in no way anti Semitic , and in fact, the Orthodox and Hasidic Communities collective behaviors are creating an increase in anti Semitic views, and creating a many misunderstandings among the less informed , as to what is , and what is not , the behavior of "Jewish" persons. ...Any effort by the community at large at eliminating the financial abuse by the orthodox and Hasidic community will , with 100% certainty , result in the "anti Semitic" label being used as a weapon. ...The other danger is the orthodox and Hasidic community, and the services they need, continue to increase exponentially. The community at large continues to slowly increase...while their wages do not increase...the Orthodox and Hasidic communities have 10, 15 or even 20 children, often on multiple taxpayer funded programs, programs that many of the people paying for these programs are not even aware of. The community at large continues to slowly increase...while their wages do not increase...the Orthodox and Hasidic communities have 10, 15 or even 20 children, often on multiple taxpayer funded programs, programs that many of the people paying for these programs are not even aware of. ...This counties current financial catastrophe , although blamed on the recent recession, county workers, and a small hospital, is in reality entirely caused by the orthodox and Hasidic communities collective financial reliance on county taxpayers. ...One area has remained financially untouched , and 100% fully funded. The entitlements to the Orthodox and Hasidic communities. That community continues to get all the entitlements, no cuts, and no hardship. ...One area has remained financially untouched , and 100% fully funded. The entitlements to the Orthodox and Hasidic communities. That community continues to get all the entitlements, no cuts, and no hardship. Targeting JewsOJPAC counters that these claims, along with several posters on the "Block the Block Vote" page, are anti-Semitic, in that they specifically target Jews for ridicule - and, in its inflammatory video, calls Rockland County "Nazi Germany" based on various posts. OJPAC founder Yossi Gestetner justified the inflammatory video to Lohud News. "This video alerting and exposing the hateful rhetoric should have been made months if not years ago," Gestetner said. "And I apologize for my community and good people of Rockland for not exposing the hate sooner." James Foley, the page's creator, disagreed, adding that the real issues the OJPAC video focuses upon are due to extremist commenters, not the campaign itself. "I'm more annoyed than anyone by some of the things that's been said there because it dilutes my argument and weakens my position," Foley told the news agency. "I don't agree with everything said there." Several local leaders, including Rockland County executive Ed Day and local National Association for the Advancement of Colored People (NAACP) representative Wilbur Aldridge, stated that the video is unhelpful and further divides relations between the Jewish community and its non-Jewish neighbors. wait - I thought this does not happen in America so they were justifiably upset at Netanyahu! The elections created an unusual problem. I would have expected that all the positions held by the last government continue and remain in place until the new government is formed. It seems though that all the temporary appointments from prior to the elections (because some of the ministers were fired and needed to be replaced with temporary appointments) have come to an end, as temporary appointments are only good for 3 months. At the time of elections, 3 months had passed and the tmporary appointments came to an end..
One of those temporary appointments was Minister of Finance, originally held by Yair Lapid and then temporarily held by Benjamin Netanyahu. The problem with this is that with nobody holding the position of Minister of Finance, there was nobody authorized to see the state-held chametz. Only the Minister of Finance, or someone authorized by the Minister of Finance, can sell State assets. With the temporary appointment coming to an end, the position remained empty and there would be nobody to sell the State's chametz. That's ok. A solution was found. Chief Rabbi Dovid Lau was involved in searching for a solution. Benjamin Netanyahu was again appointed, temporarily, to return to the role of Minister of Finance (among the other temporary positions he has held). This is a boring solution, and it was not implemented specifically for the purpose of the sale of the chametz, but it solves the problem. The Hiddush organization is upset with the fact that it looks like Moshe Gafni of UTJ will be appointed to head the Knesset Finance Committee, rather than one of Moshe Kahlon's people. The Haredi parties represent a portion of the population. I don't like the system that gives unbalanced power to narrow interest parties, but as long as that is the system, the Haredi parties are no more and no less deserving of any given position than any other political party. There is no reason UTJ demanding the head of the committee is extortion but Kahlon demanding it is perfectly ok.
Hiddush has published the results of some survey they conducted. According to Hiddush, 87% of the non-Haredi public wants Moshe Kahlon to have the position of head of Finance Committee, while only 13% want Moshe Gafni to have the position. 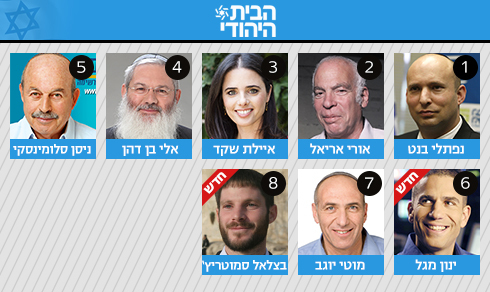 a. why only poll the non-haredi public? is the Haredi public not part of Israel? Are they not citizens of Israel? Does their opinion not matter? Is the non-haredi public any less biased towards a non-haredi person versus a haredi person than the haredi public is biased to a haredi person versus a non-haredi person? why is this a legitimate survey? Why do these results bear any significance? 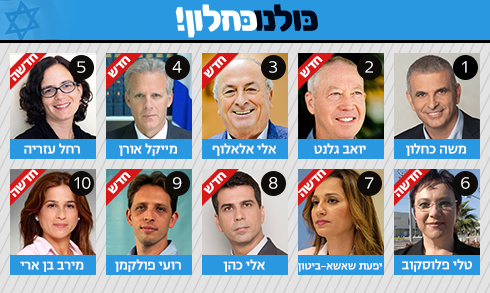 If I ask only Druze people, they will surely overwhelmingly choose a Druze candidate for any given position. Only women? Most likely they will choose the female candidate. Only secular? Most likely they will choose the secular candidate? Only dati leumi? They will choose the DL candidate. Only Haredi? 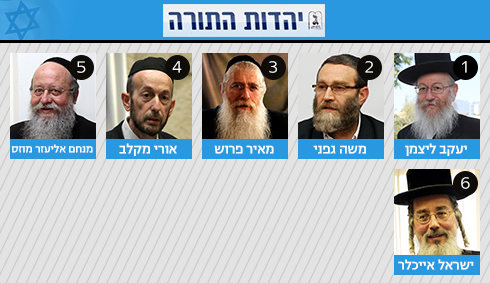 They will choose the Haredi candidate. Not only do I ask why is it legitimate, but it is grossly insulting? Why does one part of society have more of a say than any other part of society? Hiddush is almost saying the same thing Amir Chetzroni said. The survey published by Hiddush is meaningless because it is biased to the result they wanted. b. I think by now we have learned the value of polls and surveys. This survey is most likely brought to you by the same people who spent the last 4 months polling the elections. Last week we saw exactly how reliable and unbiased their numbers are. one comment - often, when politicians, including Bibi Netanyahu, say "baruch hashem" or b'ezrat hashem", people brush it off and say he is doing it to pay lip service for his religious party partners but does not really mean it. When he does not say it, they then get upset - what? he couldn't even say baruch hashem? kochi v'otzem yadi! Important feedback/info is needed regarding the child safety book Please help, by giving the feedback, design the best possible child safety materials moving forward. 25,000 copies of the english safety book and over 5,000 of the Yiddish version were sold. For years I have wondered how Sefardim manage to put away all their dishes and pots after Pesach and organize so quickly and bake chametz for their Mimouna celebration. I was told once that they are not like us Americans. We have separate sets of dishes for Pesach, so everything needs to be put away, switched, chametz stuff taken out, etc. It seems many of the Sefardim use their dishes from all year round on pesach as well. They kasher pots and whatever they can, for Pesach, and at the end of Pesach they don't need to put these thigns away. They just use them to cook chametz. They put away what they have deciated for Pesach, but their pots are ok as is, and all they have to do is pull out their flour. The following psak talks about another solution - they prepare the muflatot, and other delicacies, in advance, before Pesach, freeze it and include it in their sale of chametz. Then after Pesach they take it out of the freezer and freshen it up! The questioner asks about whether freezing the prepared foods and including them in the sale is acceptable or not. Rav Shabtai Yagel, a rav in Ranana, answered that this should not be done (that would mean the original solution I wrote about is preferred). 1. the solution of selling chametz was not instituted in order to buy things before Pesach in order to save them for after Pesach, and definitely not for an individual. Sellign chametz was instituted for commercial purposes - for people stuck with merchandise that they would otherwise take a large loss on and therefore might not bother disposing of it. For private people, we don't want people relying on the sale for real chametz, but people should plan in advance to use up their chametz by the time Pesach comes around. And definitely do not buy or prepare chametz right before pesach for the express purpose of selling it to be used right after. 2. 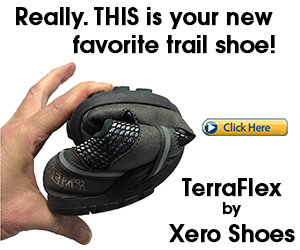 It is possible that in this scenario, the sale might not even work. There is no intention to actually sell it and transfer ownership - it is really deceit. 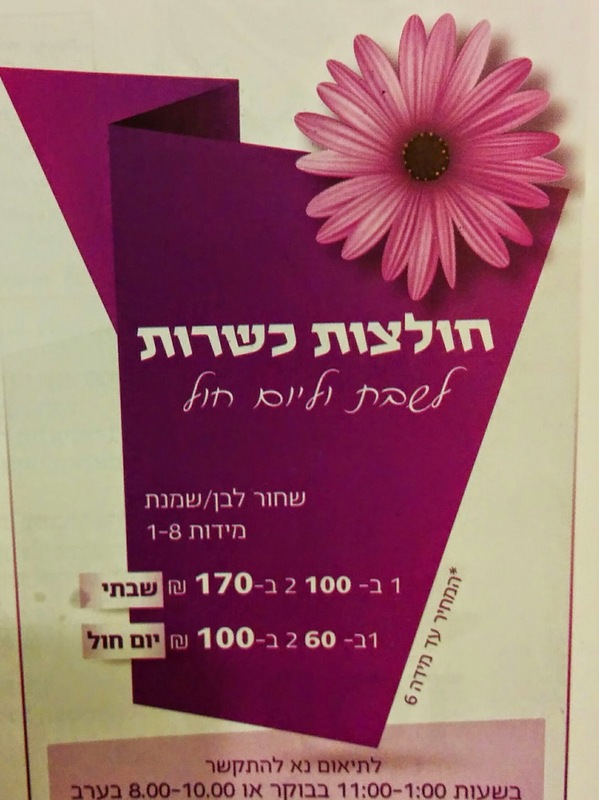 With normal chametz, people would usually be ok if the gentile decided to come get his chametz and pay in full, but n this scenario, the value is not really of interest to the seller, as she wants he food prepared for her Mimouna holiday, and would not want the gentile to come collect it during the holiday. 3. because she wants her mufletot, if the gentile would come, she might not even agree to him taking it, even while paying full value. That creates another problem (besides for putting the transfer of ownership into question) - her desire for the continued existence of the chametz. So, don't freeze your prep-prepared mufletot. Find a way to make them fresh right after pesach. The latest in the "Manny Naftali - Sara Netanyahu saga" has Naftali claiming that Sara Netanyahu often drinks 3 bottles of champagne a day. If Naftali is telling the truth, I am less concerned about her wasteful spending in the Prime Minister's residence, and more concerned that she should be getting therapy for her drinking problem. She should be going to Alcoholics Anonymous, at this rate of drinking. Maybe it is a sign that the price of water is just too high - it is worth drinking champagne at those prices! How does she stand straight, or even talk to anybody, when she is drinking 3 bottles of champagne a day? Shmitta lchumra coming to a government hospital near you! The Ministry of Health, in response to a request made by MK Uri Maklev (UTJ), has decided to make changes in the food supply in public hospitals. A new tender will soon be issued for the supply of fruits and vegetables in government-run hospitals. The new supply will include the supply of "shmitta l'chumra" (I still don't understand the name shmitta lchumra) fruits and vegetables, meaning fruits and vegetables from Arab and/or imported produce, and insect-free greens, for patients that prefer these. Until now, government-run hospitals have only supplied hetter mechira sourced vegetables to its patients. This created a dilemma among some patients, whether to eat or not - never a good thing for a patient to have to worry about. The list of government-run hospitals include hospitals such as Sheba (Tel Hashomer), Ziv, Hillel Yafe, Rambam, Poriya, Barzilai, among others. Public hospitals, operated by large operations, have found it financially worthwhile to provide mehadrin kashrut, including shmitta lchumra and insect-free produce, but the government-run hospitals chose the basic level of kashrut, as per the guidelines of the Rabbanut. It's always good when people have a choice. Elections and coalition negotiations are very timely, falling out right before, and during, Pesach. It seems to me that coalition negotiations are very much like the afikomen on Pesach night. The potential coalition partners are the same - they make their demands, and they hold out as much as possible, knowing that the leading party will give in, at least to most of the demands, because the leading party needs the smaller parties to form a coalition. This is why the small parties, the narrow-interest parties, wield too much power - more than what they should have based on their size. This is one of the main problems with Israel's electoral system. And it does not matter which party is the "winning", or leading, party. Whether Labor of Likud, or in the future maybe a different party. In this system, the leading party has to give in to many of the demands of the small parties, in order to form a coalition. News reports are saying that Netanyahu has officially designated the Ministry of Finance for Moshe Kahlon. News reports are also saying that despite Avigdor Lieberman's original demands, he will not be given the Defense Ministry, but is being offered the Foreign Ministry again. This is a shame, even though the Foreign Ministry is not really such a major office, or hasn't been in recent years. Considering the situation Israel finds itself in right now, with few friendly countries, and even the USA straining its relationship right now with Israel, it really would be useful to have a Foreign Minister that can work on that and try to fix those relationships. Lieberman was always persona non grata in most Western countries, so it is unlikely he will be in a position to work on mending those relationships. That means Netanyahu once again will have to also play Foreign Minister in regards to all the Western countries, but it is he they are upset at. It would be nice if that position could go to somebody welcome in the West - maybe a Dr. Michael Oren or a Naftali Bennet or someone else similar (there must be others), who speaks at least a decent English, and is welcome abroad. Giving the Foreign Ministry back to Avigdor Lieberman is basically abandoning any serious efforts to improve all those relationships. Nowadays there are plenty of websites that facilitate the sale of chametz online (whether you believe the online sale of chametz works or not is a different story). Generally, in the past, I have seen the mechiras chametz done on religious websites, such as kipa, among others. This year (it is possible that it was in years past and I just did not notice it), even other websites, not specifically religious, are facilitating the sale. Everybody wants a piece of the pie. Ynet is facilitating the mechiras chametz, in coordination between Tzohar and Ynet Yahadut. Even if you trusted a website to process your mechira and you believed it works, would you trust a non-religious website to handle your mechiras chametz? Would you trust Ynet specifically, which has recently (even more than in the past) shown itself to be extremely biased and unreliable? Even in the offline world, trusting a non-religious person to deal with halachic issues for you can be questionable (to put it mildly). To use a faceless organization online that has clear and obvious anti-religious sentiments - I don't know how they can be relied upon. 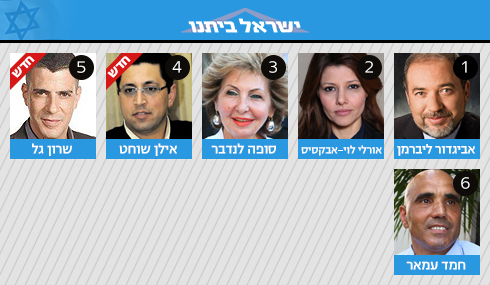 Tzohar is fine, but Ynet? The below tweets reminded me of the famous story of the woman who went to the Brisker Rav before Pesach with a question if she could fulfill her obligation of drinking the four cups by using milk, as she could not afford wine. The rav said no and then gave her a large donation to be able to buy provisions for the seder. His students asked him why he gave such a large donation to her, as all she had needed was wine. The Brisker Rav responded that if she was asking about using milk for the four cups, it also meant she did not have any meat or chicken for the seder meal, so she needed more than just wine, but also food for her meal. For argument's sake, if you were having a dairy seder could @benandjerrys maror & charoset flavors be used for maror & charoset? Most people who go to shul in the morning look forward to any day there might be a bris in shul or some other special day, as it means tachanun will not be said. the jackpot is hit when that bris comes out on a Monday or Thursday, as "no tachanun" means even greater "benefit" in the sense of the longer tachanun not being said. The month of Nissan is looked forward to even more, as it means an entire month of no tachanun. This week brings us to one of just three times a year that something else makes people feel like the "no tachanun" situation.. this Saturday night we will not say "Vihi Noam" at the end of the services. This only happens three times a year, the Saturday night before each of the holidays. Funny how saving 1-3 minutes in shul can get us so excited! What is wrong with us? The long-standing dispute between the City of Bet Shemesh, the Ministry of Education and the Safot vTarbuyot school has come to an end - on paper at least. The City of BS has for a long time been trying to get the school moved out of its building to another location, claiming the building is underused, and the population using it is bused in from other areas while local children have a severe shortage of school buildings. The school did not want to leave. The Ministry of Education supported the school. All that is over, at least on paper. In actuality, it depends on construction being done and completed as per the agreement, but on paper they have come to agreements, putting this story to a close. According to the agreement, the school will continue to function as a regional school in the coming year but will do so in a new location. At the beginning of the coming academic year, Safot vTarbuyot will take over the school building in Bet Shemesh currently occupied by a Haredi school called Afikim - with the stipulation that renovations funded by a budget from the Ministry of Education will be completed by then. The school Afikim will temporarily move into the Adiyahu school complex, which also has to be prepared for this with renovations and security improvements. Once again the Rabbanut has clarified its stance, on some unclear or disputed issues, regarding Pesach kashrut..
during the processing of normal flour, the wheat is moistened for 3-9 hours. Therefore, regular white flour is suspected to be chametz. these are moistened with hot water during processing, and are suspected chametz. Some health food stores have natural buckwheat that is not cooked or moistened during processing, and is not chametz. this is probably the most interesting. In previous years the Rabbanut has said that Canola Oil is not kitniyot. The mehadrin hechshers, as far as I know, all consider it kitniyot. Abroad there are differing opinions whether it is kitniyot or not. Generally canola oil is not kitniyot. one reason is that it only came into being after the gzeira of kitniyot was in effect and is therefore not included in the gezeira (like potatoes). another reason is during the processing there is not even a minority percentage of the grain, so no kitniyot. However, some canola oil has added Vitamin E, which is made from soy and is therefore kitniyot. aluminum foil is no longer made with the foil being oiled. if aluminum was used without a hechsher, no problem. these do not need a hechsher for Pesach. Toothpaste and other things that go into the mouth should have a hechsher. Body soap and shampoo do not need a hechsher. Jon Stewart on the Israeli elections..
for the yahrtzeit of R' Dovid Werdyger..
We've seen before campaigns to not give assistance to "them" - with "them" being anybody we don't agree with politically. They usually do not work. Some individuals will stick to it, or try to, while most will quickly give it up. It is especially difficult for such a campaign to succeed if the "them" looks just like us. How do you identify easily whom it is you are supposed to be boycotting? Right now we have two groups of people upset at the results of the elections, that they have decided to promote "do not give them" campaigns. [some] Leftists and [some] Haredim. The Leftists were so upset with the results of the election that they said if that's what they want, if they don't want to help themselves (and vote for our guy), then we won't help them. No more assistance to those communities, no more charity. no more solidarity. They are on their own. And now some Haredim are saying the same thing about Haredim who did not vote for the classic, mainstream, Haredi parties. They took themselves out of the camp, we will not give to them, no more help. They are no longer part of us. The Haredim promoting this even qualify it by saying they do not refer to those people who voted for other parties under the instructions of their rabbonim, but only those who voted so on their own decision. Not only do I have no idea how they would identify most of the people who voted differently, but I also do not know how would they then find out if the person did it because his rabbi told him to or because he wanted to on his own. Haredi charities are normally very proud of the fact that their organizations help everybody, and not just Haredim. They point to organizations like Ezra Lamarpeh, Ezer Mtzion, Yad Sarah, and many others that give and assist indiscriminately. Are they just fig leaves - like holding up the Haredi doctor or Haredi scientist (usually baalei teshuva or immigrants from abroad) as amazing people and as examples, even though you don't encourage (actually discourage) your kids to go to medical school or study science, so these organizations as well - we give to our own but we can show the world we care because some give to everyone despite our preference, or do they really prefer that? I don't know. Regardless, I think it is a dangerous move to start such a campaign. Haredim are of the biggest givers, but they are also of the biggest receivers. If they start a campaign not to give "them", it may boomerang as "they" will retaliate and stop giving the Haredim. coalition negotiations are already in relatively high gear. Moshe Kahlon is demanding the FInance Ministry and the head of the Knesset Finance Committee. Kahlon says he needs both in order to ensure that he can effect the reforms he is planning. The clash here is that UTJ's Moshe Gafni wants that position, head of the Knesset Finance Committee, for himself. When asked about the possibility that he won't get the position, Gafni responded, "let's not get dramatic...they understand there is nothing else for us to take". UTJ deserves their fair share of appointments and authority in exchange for joining the coalition. I don't know enough to say what I think they deserve and what they do not deserve. And, by all accounts, Gafni has done a good job in the past when he held the position of head of the Knesset Finance Committee, and I have no doubt he would do a good job again if he were to receive that appointment. I also think it is not a great idea to give the position to Kahlon in addition to the Finance Ministry. The government already has almost no checks and balances. That is just the way the system works. It is the appointments in the committees that provide some sort of minimal checks and balances. Giving the Finance Committee to Kahlon would get rid of even the most minimal checks and balances and make Kahlon practically free to do whatever he wants. However, I question why this position is so important to Gafni? 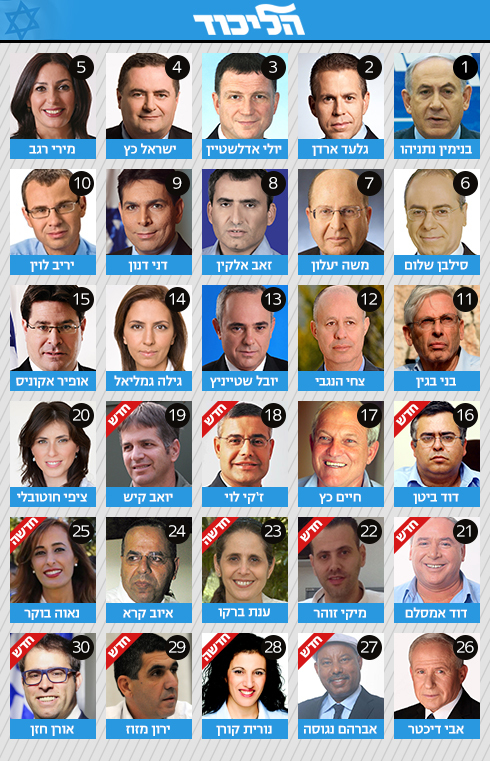 Why does Gafni think there is nothing else for him to take - only the Finance Committee? Gafni's community suffers from a severe crisis in the housing realm - why not take a position that can be influential in that regard - Minister or Deputy Minister of Housing, or head of the Housing and Construction Committee? What about welfare - ministry of committee? What about Ministry of Religion? something else? Again, I am not saying what he should get, and head of Finance Committee is fine by me, but why is that the only option? There are plenty of other offices that should hold interest to UTJ. funny review of the elections.. Coalition negotiations is exactly what the problem with our current electoral system is. Each small party knows that the prime ministerial candidate needs it for a coalition, and therefore squeezes the most it can out of the Prime Minister, giving it and its narrow interests disproportionate power. Reporters are saying that the parties are already laying down their demands for joining the coalition. 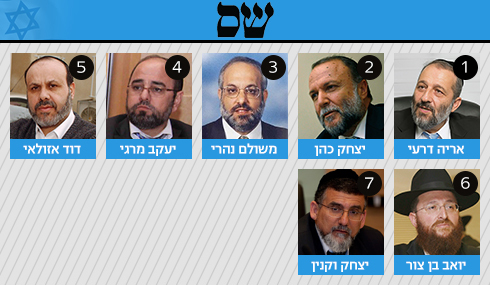 The Haredi parties are clear on what they want - appointments such as Ministry of Interior for Deri, plus Ministry of Religious Affairs for another Shas MK. Litzman would go back to the Health Ministry and Gafni back to directing the Finance Committee of the Knesset. That is besides for their demands to reverse some of the legislation enacted by the previous government (e.g. child subsidies, criminal sanctions for draft avoidance, among others). Kahlon will be getting the Finance Ministry and something else. Lieberman will make his demands - he was already told he is not getting the Defense Ministry he demanded before the elections. 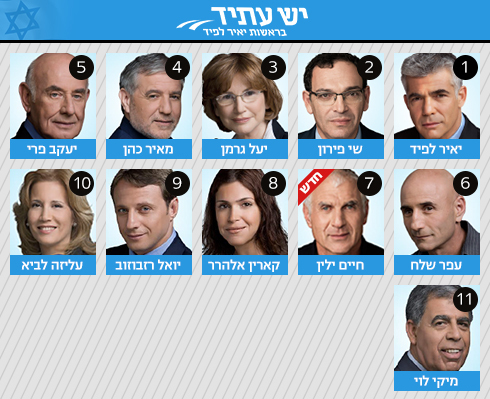 The Likud has to give its own MKs portfolios as well. 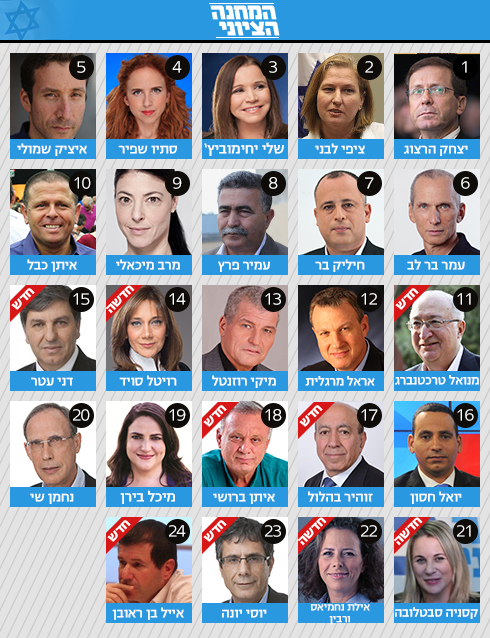 As the biggest party, they should get a bulk of the positions, and the most important ones, keeping the Defense for Moshe Boogie Yaalon, The others are as of yet unknown. Habayit Hayehudi seems to be struggling.in its demands. They've stated things they wont be getting - they demanded Defense, Internal Security and some others, during the election season, but it seems they won't be getting those. They might get Economics and Trade again, and maybe Communications. They want a more senior portfolio - Justice or Foreign Ministry - as well. Also, supposedly the Haredi parties are putting a veto on Rav Eli Ben Dahan going back as a Deputy Minister in the Religious Affairs Ministry (which would be under a Haredi Religious Affairs Minister from Shas) because they don't like what he did in the last government. I am not a supporter of Habayit Hayehudi, but I do believe in loyalty. The Haredi parties did not openly support Netanyahu in this election season. Deri only made a statement about supporting Netanyahu in the last week, and even that was not 100% clear. On the other hand, Bennet supported Netanyahu all the way, from the beginning. Bennet also gave much moral support to Netanyahu and the Likud, both in travelling with them to the USA for the speech in front of Congress and AIPAC, as well as going on interviews on world media and statingexplicitly that he supports Netanyahu and the Likud. And that is besides for the Likud "taking" 4-6 of Habayit Hayehudi mandates in the last 2 or 3 days, while Bennet practically did not campaign against the Likud the entire electoral season. In my opinion, only based on loyalty and repaying Habayit Hayehudi for their support, they should be considered a senior partner, the way Netanyahu said prior to the elections he would treat them. They should be offered a senior portfolio, I dont know which, but something senior, as well as priority over Shas and UTJ in disputed positions - such as the Religious Affairs Ministry (even if just as a Deputy Minister). The Haredi parties deserve their fair amount of positions as well, but they should not be considered as senior as Habayit Hayehudi, just by virtue of loyalty. 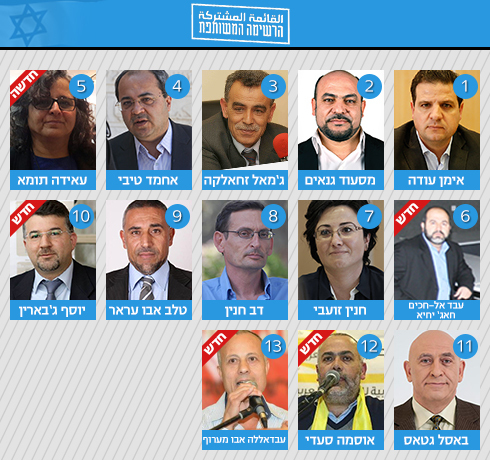 And that does not even take into account that Habayit Hayehudi is slightly bigger than each of the other parties. והיו עיניך רואות את מוריך - sort of. not really. this is amazing. Especially when you take into consideration that the larger political parties used to win 40-50 seats.. It seems Aryeh Deri is angling for a return to the Interior Ministry. He has said that he would demand that appointment to join a coalition. Regardless of whether he gets it or not, as the outcome is really dependent on coalition negotiations and what else is allocated to the party, and also in combination with what other parties demand and get as well, I think Deri is making a mistake. Deri campaigned on the issue of the shkufim - the transparent. The lower middle class and the lower class of the socioeconomic society, the people who work hard, can't make it to the end of the month, yet are overlooked by everybody. I am not aware of how running the Ministry of Interior can directly help the shkufim. How can Aryeh Deri promise to work on behalf of the 2 million shkufim from the office of the Ministry of the Interior? Considering Aryeh Deri's promise and entire campaign, he should be demanded the Ministry of Social Welfare (Misrad Harevacha), or the Ministry of Economics, Commerce and Trade (Misrad Hacalcala vMischar). As Bennet showed when he worked in that office last term, that would be the perfect ministry from which Deri could work to fulfill his promises, working on minimum wage, improving conditions for the working class, developing programs to help with career advancement, etc. If Deri does not demand such an appointment but actually demands the Ministry of the Interior, I think he should be offered it. For Deri to demand the Ministry of Interior, and not the Revacha or Calcala offices, is basically a slap in the face to all the people who voted for him, considering his campaign. Rumor has it that Netanyahu is considering reversing previous legislation that limits the number of ministers in government to 18. The purpose to reversing it would be to be able to offer more positions to potential coalition partners. Yair Lapid is one of the people responsible for the law limiting ministerial positions to 18, and he is obviously upset that it might be reversed. I think this law is a good one, and it would be a shame for it to be reversed. Lapid's response to the idea that it might be reversed was to call it corruption. Continuing on his path of his election campaign calling everything Netanyahu does "corrupt", Lapid said this is corruption and if it happens he will fight it, and even take it to the Supreme Court if necessary. I hope Netanyahu does not reverse the law, but not everything is corruption. If he does, it is politics, not corruption. Last night they counted the votes of the IDF soldiers, of diplomats, and of other special votes. While overall most things are more or less the same, both the Likud and Meretz went up by one mandate each - Likud to 30 and Meretz to 5. As a result of Meretz's ascent to 5 mandates, Zahava Galon retracted her resignation. Impressive! That was even quicker than Aryeh Deri's retraction! People on the Left have done a lot of complaining over the past couple of days about what they call Netanyahu's hate campaign that he waged in the final week of the election. I would really just give them time to get over their loss. They are disappointed. They worked hard, but they lost. Defeat is hard to take. I can understand they are bitter, and if we just give them a few days, a week, things will get back to the normal level of complaining and hate rather than this elevated level we are currently at. This morning I heard Tzippi Lini interviewed on the radio. She was talking about Netanyahu's hate campaign and how much damage he has done with it. The radio talk show host actually called her on it and pointed out that Hamachane Hatzioni and all the other organizations on the Left were campaigning all along also with messages of hate and anger and negativity, so it is not right to just blame or accuse Netanyahu of this. Livni's answer was amazing. She was even willing to admit that their campaign was filled with negativity and hate (she was only speaking for her own campaign and not for the other associated organizations that ran their own campaigns). Livni found a way, without even blinking to explain how their hate campaign was really different than Netanyahu's. Her hate campaign was ok because it is true. Netanyahu really is bad, she said, and did all these bad thigns to Israel. So it was ok to run a negative, hate-filled, campaign against him. Only Netanyahu has no right to get nasty. And we can go back to others as well. Lapid ran a campaign that went back to being anti-haredi. Whenever possible he warned the country that Netanyahu will pay off the Haredim. The Haredim will reverse all his gains? The Haredim will steal your hard-earned money again. Even on election day, Yesh Atid sent out text messages to their contact list stating that people should get the vote out in higher numbers to counter the Haredim. I don't like what Netanyahu said, but when everyone else is saying the same thing abotu everyone else, any one person's statement ebcomes less important. They don't even see their own hypocrisy.